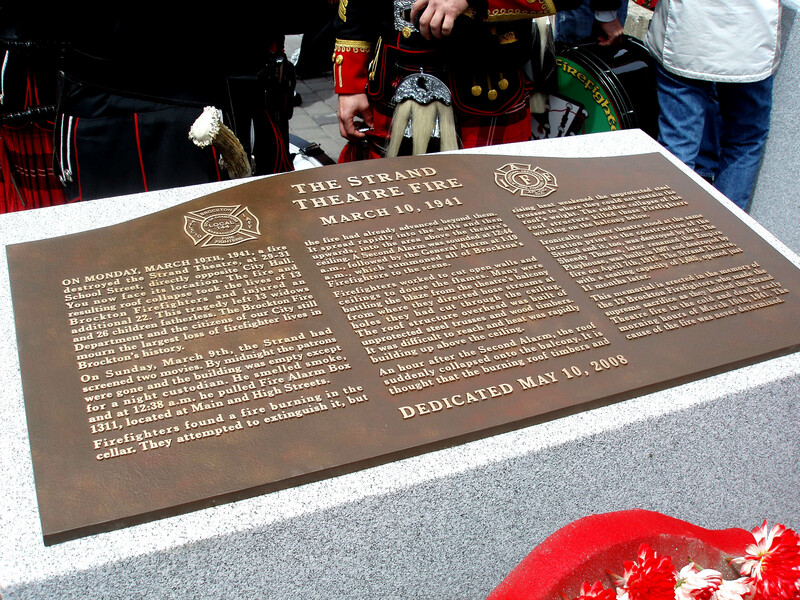 Brockton Firefighters Strand Theatre Fire Memorial – Skylight Studios Inc. This memorial commemorates the historic fire that destroyed the Strand Theatre in Brockton, MA on March 10, 1941. 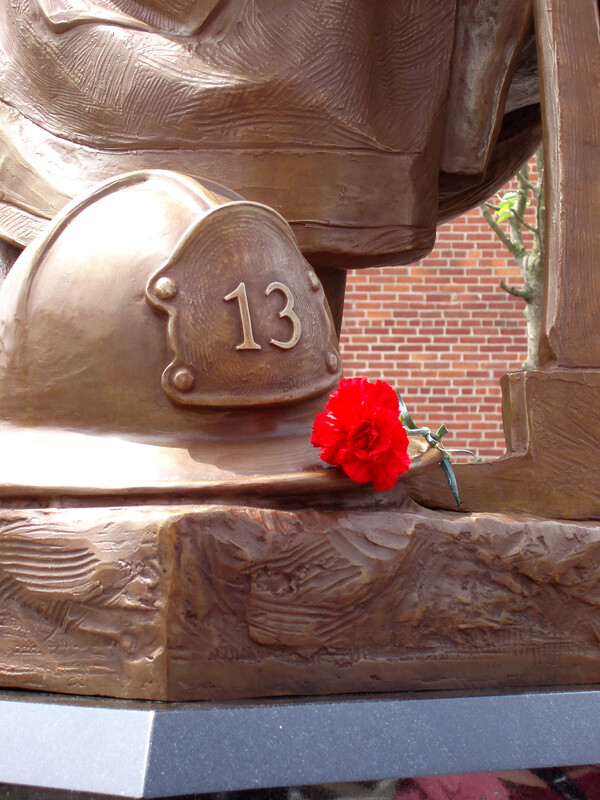 Thirteen men of the Brockton Fire Department lost their lives in the incident and the memorial is a constant reminder to viewers of their sacrifice. The names of all thirteen are inscribed and gold-leafed in the front of the polished granite base. Narrative plaques on the perimeter of the plaza tell the story of the tragic fire.